When the nerves in your neck become pinched or inflamed, symptoms can spread to your arms and into your hands. Eventually, it can become difficult to do simple things like holding objects in your hands, writing, gardening, and doing other tasks that involve the movement of your arms and hands. The pain, tingling, and numbing sensations caused by nerve damage in the neck can drastically reduce your quality of life.We understand how challenging it can be to deal with a pinched nerve or damaged nerve in your neck. We are eager to help you eliminate the pain that you are experiencing. There is a wide range of treatments available to address these issues, and we are excited to help you find the treatment that is right for you. One treatment that has provided relief to many of our clients is a stellate ganglion block. A stellate ganglion block affects the sympathetic nerves tissue in your neck. An injection of a local anesthetic is given to the nerves that are located on either side of your voice box in the neck. What Is The Benefit of a Stellate Ganglion Block? It’s primary purpose is to block the symptoms sent by the sympathetic nerves that travel to the arms and to parts of your face. Its goal is to minimize the pain you feel, any swelling, changes in color, or sweating as well as improve your mobility. The entire injection procedure will only take a few minutes. In most cases the injection consists of a local anesthetic combined with epinephrine or a steroid medication. This mixture is designed to prolong the effects of the stellate ganglion block. The procedure involves inserting a needle through your skin and puncturing some of the deeper tissues in your neck. There will be some discomfort and some pain involved. However, a local anesthetic can be used to numb both your skin and some of the deeper tissues. The local anesthetic is administered using a very thin needle, and then a slightly thicker needle is used to administer the block. You may have the option of receiving intravenous sedation. This will relax you, making the entire procedure easier. In most cases, you will be awake for the procedure. However, some patients do fall asleep as a result of the sedation medication provided in the IV. Throughout the entire procedure, you breathe on your own. The amount of sedation medication given will vary based on your personal pain tolerance. Some patients experience amnesia during the actual procedure. The procedure is performed with you sitting up. The doctor is going to raise your chin and slightly turn it away from the side that is going to be injected. An EKG is used to monitor your blood pressure and oxygen level. An antiseptic solution is used to clean out the area where the injection will take place, and then the injection is given. Moments after the procedure, you’re going to feel your arm getting numb. You will also notice your pain diminishing or completely disappearing. You may have a hoarse voice and a lump in your throat. It is not uncommon for you to have a droopy and red eye as well as some nasal congestion. You may also develop a mild headache. All of the symptoms are temporary and will dissipate. You should quickly be able to engage in everyday activities as well as physical therapy. You should expect the local anesthetic to wear off after a few hours, and the nerve block to last for a few hours more. 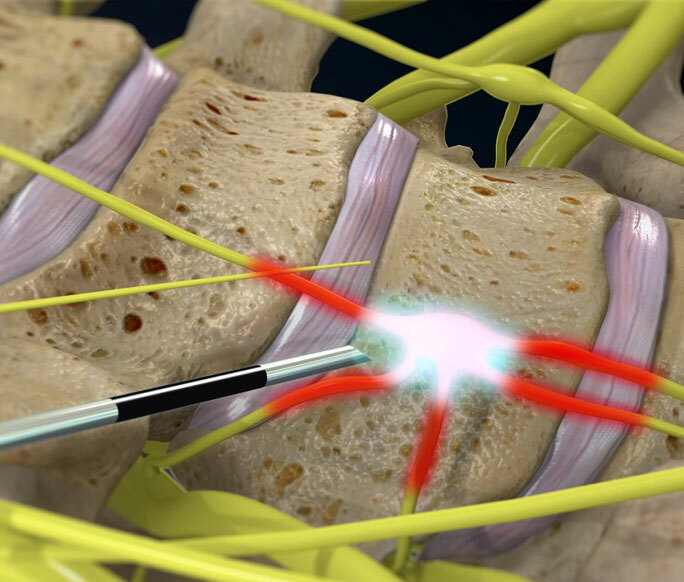 With each successive nerve block, the duration of the pain relief will last longer. A stellate ganglion block is just one of many possible treatments that can help relieve the pain caused by nerve damage or irritation in your neck. We warmly invite you to visit our clinics so that we can sit down with you and talk to you face-to-face about the pain you are experiencing. Our goal is to help you relieve your pain symptoms and get back to living the quality of life you deserve. We are happy to provide you with individualized and personalized treatment. We understand that there is no such thing as a one size fits all pain management system. Your pain is unique to you, and so your treatment must also be uniquely yours. When you leave our office, you are going to have clear in mind what our plan is to help you in both the short-term and the long-term. Our entire pain management treatment system is completely transparent. We understand that you have likely dealt with other medical professionals who either doubted your pain or who doubted the severity of your pain. You will never have this problem with us. We understand that you are in pain, and we are eager to do what we can to help. We are committed to working with you until your pain management goals are reached. Contact us today, and see for yourself why so many people have turned to us for their pain management needs.